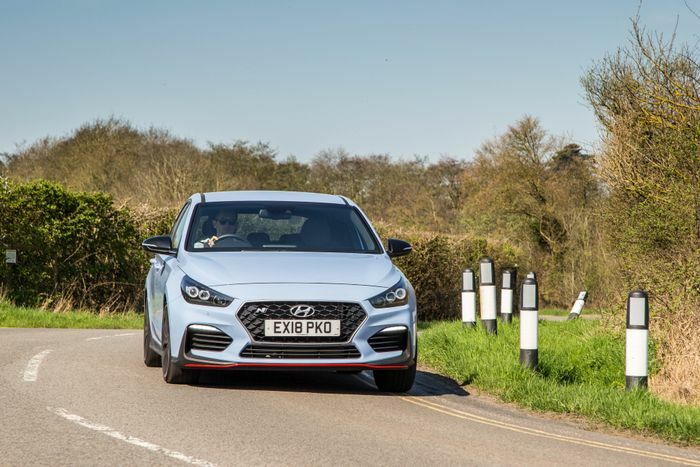 The Hyundai i30 N really has blown away everyone’s expectations. That a complete newbie - not just to the world of hot hatches but the domain of fast cars in general - can rock up and be on terms with much more established rivals is nothing short of astonishing. In fact, the newcomer has a tendency to come out on top when meeting its competitors. But a large part of this success has been down to Hyundai installing the right people at the top. Notably Albert Biermann, formerly BMW M Division’s Vice President Engineering, who was poached in 2015 to become head of Hyundai’s N division. 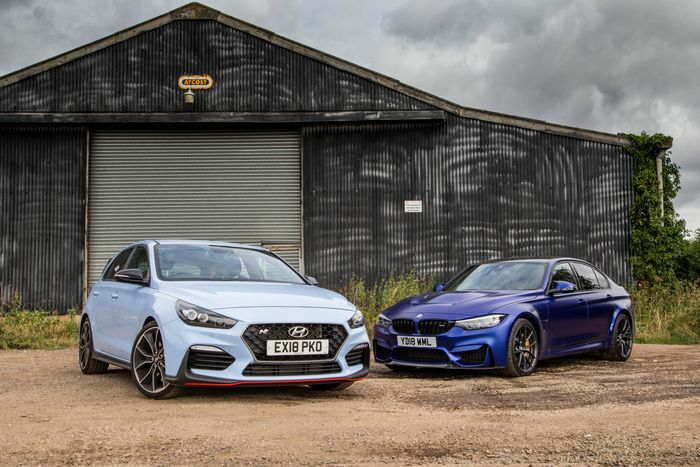 More recently, Hyundai added another two BMW veterans to its roster, in the form of Thomas Schemera and Fayez Abdul Rahman, although the latter has gone to the Genesis brand, rather than N.
This was the first thing we spotted. LED rev counter lights like these - that give the car a changing red line indication as the car warms up - have been a BMW M staple for years. A neat touch that looks pretty awesome, don’t you think? A less welcome BMW M-inspired aspect. 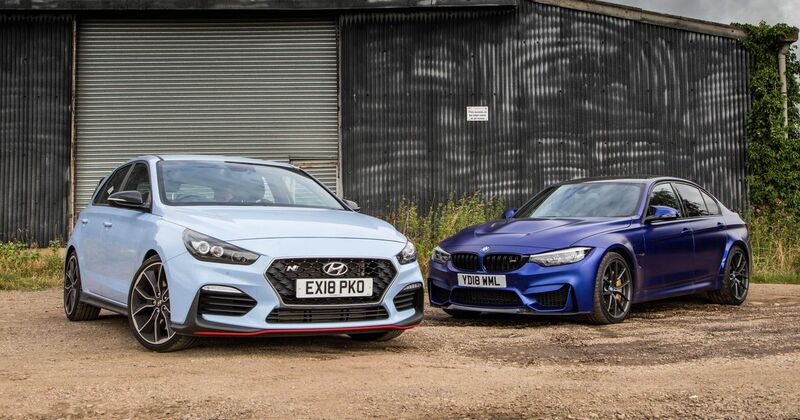 Excessively heavy steering in Sport+ mode is a bugbear of mine in the F80 M3, and it’s a problem that afflicts the i30 N. Just as an M3 is - to my mind - better in its ‘comfort’ steering setting, the go-faster Hyundai feels nicer with its steering left in ‘normal’. 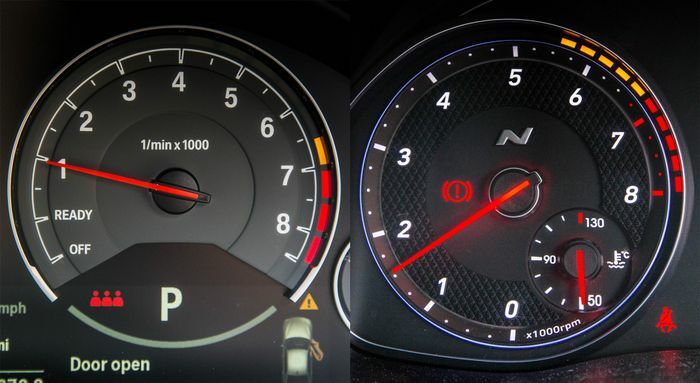 BMW likes to give drivers of its M products a significant amount of control over the car’s setup. In the current M3 for example, there are three different settings for the engine, the dampers, the steering, the gearbox ferocity and the traction control (on, MDM and off), giving a 243 potential combinations. The i30 N takes this ethos and goes nuts with it, adding other areas to be customised. 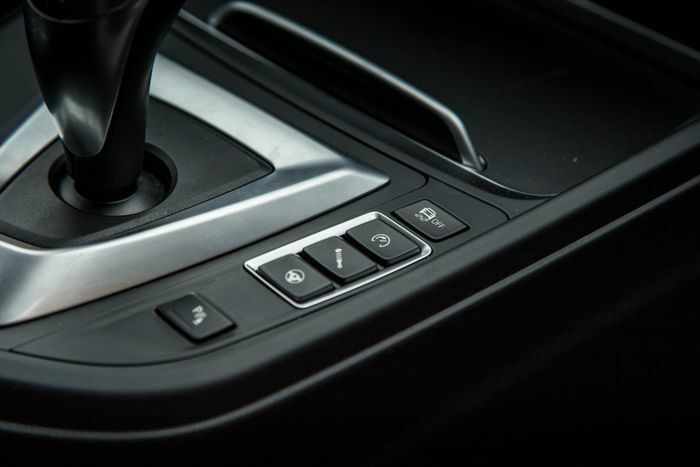 You can even alter the sportiness of the clever electronically-controlled differential. At the car’s launch last year, Hyundai was perhaps a little too proud to tell us that are an absurd 1944 combinations. Thankfully, it hasn’t taken us long to find a preferred set-up: everything turned up to its sportiest setting apart from suspension (‘normal’) and the steering (also ‘normal’, to avoid that needlessly heavy feeling we just talked about) and the ESP set to the less intrusive ‘Sport’ mode. 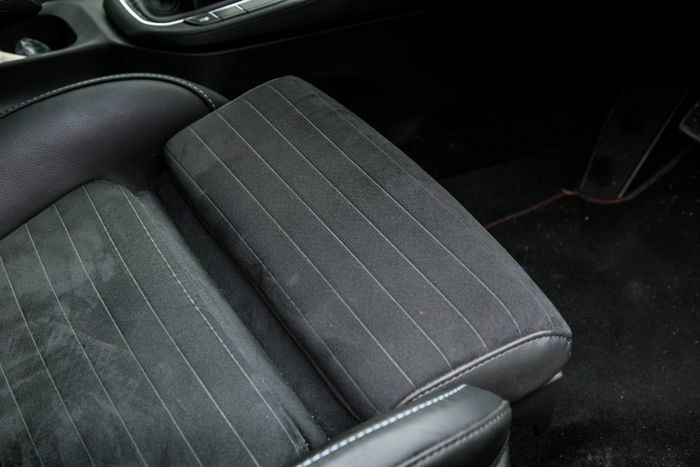 OK, so we’re getting a little tenuous now, but moveable squabs to help give you the perfect seating position is very much a BMW ‘thing’, and yes, they’re present on the i30 N.
Want to know more about life with Hyundai’s hot hatch? Here are some of our other observations about the car.